Emtec was a proud sponsor, speaker and exhibitor at OOW 18! As an Oracle Platinum Partner and Cloud Excellence Implementer, and with more than 100 successful Cloud implementations completed, Emtec was proud to be an exhibitor and sponsor at Oracle OpenWorld 2018 in San Francisco. Attendees stopped by the Emtec Booth to reenergize, and talk to our team about how Emtec leverages the suite of Oracle’s products to drive transformation and growth for its clients. Emtec CFO presented 2 educational sessions! CFO at Emtec presented Emtec’s Oracle Cloud Success Story and participated in a panel discussion. 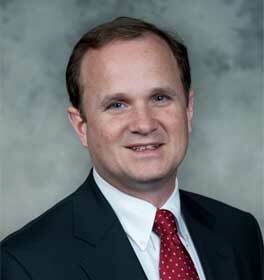 Mr. Chandler has been the Chief Financial Officer at Emtec since May 2009. During his tenure Emtec the Company closed 9 acquisitions and 2 divestitures. The Company went private in 2013 and has completed 3 recapitalizations. Mr. Chandler has led the Company through 2 large ERP implementations including the current migration to Oracle's cloud and ERP and HCM modules. Prior to Emtec, Mr. Chandler served as the Managing Director and Group Head of Janney Montgomery Scott's Business & IT Services Investment Banking Practice. Mr. Chandler also was a consultant at PricewaterhouseCoopers advising companies in restructuring their back office financial operations. He serves on the Board of Directors of FS Investment Corporation and the RBB Funds, and on the Board of Trustees of FS Energy and Power Fun, and the Wilmington Funds. Mr. Chandler received an MBA from Harvard, a B.S. in Engineering from West Point and is a Certified Public Accountant. In addition to being an Oracle Platinum Partner, Emtec Consulting Services, a global technology and consulting firm, is also an Oracle customer. In this session, Greg Chandler talked about Emtec's acquisition, integration, and growth curve and the role Oracle Cloud played in the transformation of the business. The decision to move to a SaaS platform and the process used to select Oracle over other solutions was also discussed. The implementation approach and timeline for implementing Oracle HCM, Oracle ERP, and Oracle PPM was shared, along with the business objectives and results achieved. The session concluded with future plans to leverage more Oracle Cloud solutions. Driving the project portfolio is the backbone of successful digital businesses. During this session, attendees learned about global organizations and their use of Oracle Project Portfolio Management Cloud to move beyond project tracking and back office accounting to experience rapid organizational scale, execute against actionable intelligence, and achieve the operational structure to manage sustained growth. Emtec was a Proud Sponsor of Oracle Utilities Reception at Oracle OpenWorld. Did you miss Emtec at OpenWorld? Copyright © 2019 Emtec, Inc. All rights reserved.